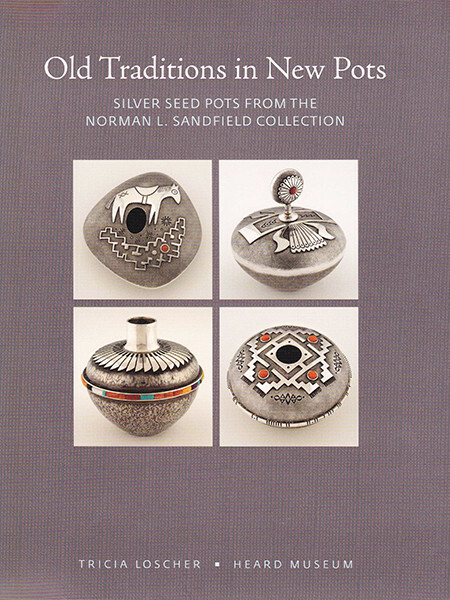 The work of over seventy Native artists who create miniature silver seed pots is presented in this publication featuring over 240 examples from the Norman L Sandfield Collection at the Heard Museum. As an art form, these miniatures draw on the ancient tradition of ceramic containers that protected the seeds of agricultural plants on which people’s lives depended. Following in the more recent tradition of miniaturization, these silver vessels represent the work of some of the finest silversmiths working today, including White Buffalo (Mike Perez), Ric Charlie, Bernard Dawahoya, Anthony Lovato, and Darrell Jumbo. Over seventy silver pots are the creation of award-winning Navajo silversmith Norbert Peshlakai. Curator Tricia Loscher interviewed the artists, discussing their approaches to this new art form and the inspiration for their designs. 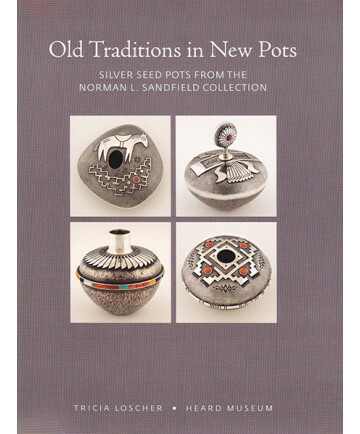 In a foreword by noted Southwestern scholar Martha Struever, she describes her involvement with the art form and her introduction of collector Norman L. Sandfield to the beauty in silver miniatures.